Tender rib meat falling off the bone, just waiting to be pulled apart. Mouthwatering roasts with flavors only exuded by the smoke underneath the lid of a grill. 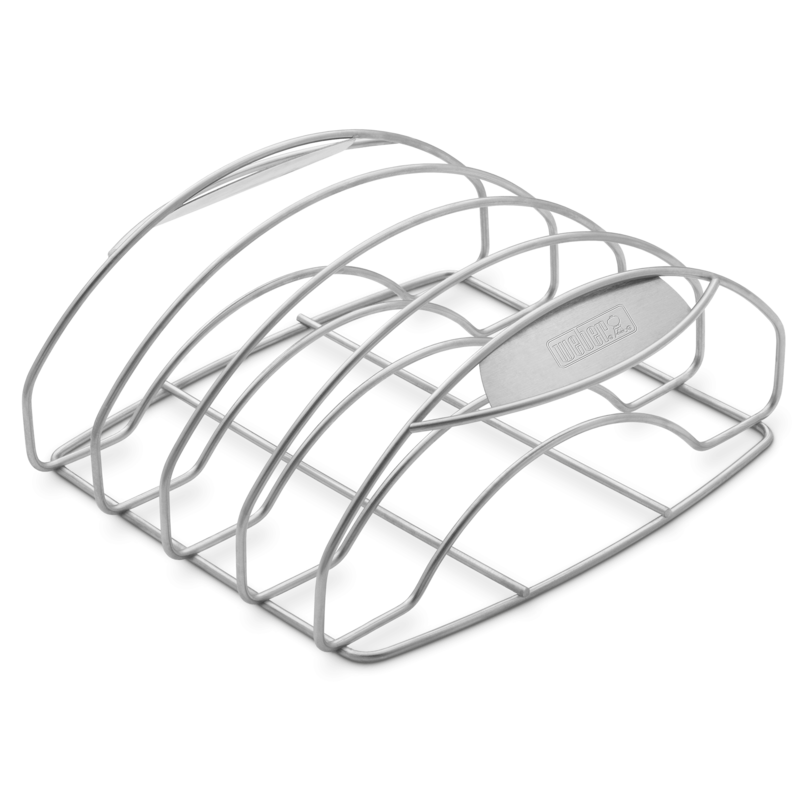 The two-in-one design of the Premium Barbecue Rack holds multiple slabs of ribs to increase space on your cooking grates, and can also be used as a sturdy cradle for juicy roasts. 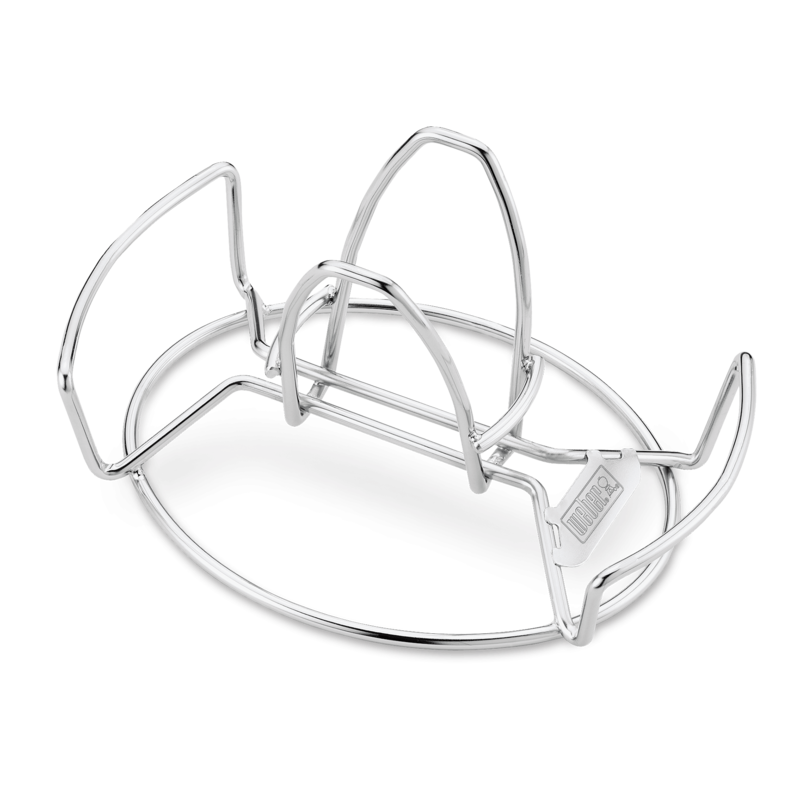 Premium Barbecue Rack is rated 5.0 out of 5 by 3. Rated 5 out of 5 by JFCIII from Rib and Roaster Rack I purchased the rib and roaster rack in time to smoke a Christmas turkey breast. I washed the rack, dryed and sprayed with pam. I purchased a small foil pan and placed under the rack. I removed the turkey from the brine and washed. Sprinkled with my fave rub. Placed the bird on the rack and it was a perfect fit. I kept the bird in place and did a great job. All family member enjoy the smoked turkey. I know I will enjoy using the rack for many years. 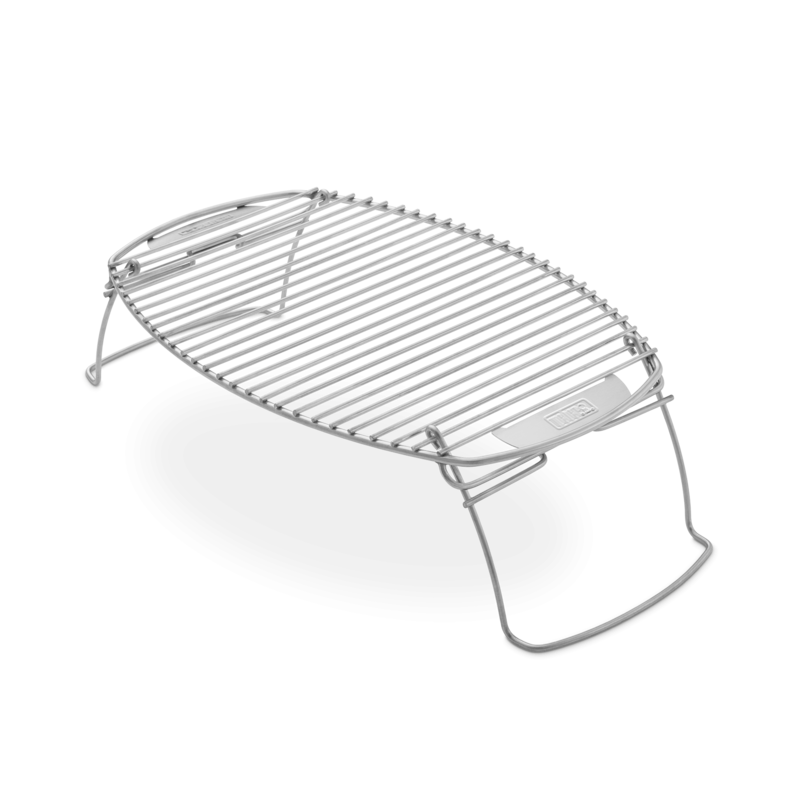 Rated 5 out of 5 by Bloomingdale Griller from Multi-Use Rack I have a Weber Genesis II and use the rack for much more than ribs. I use it for a turkey, spiral cut ham, pork loin etc., in an aluminum throw-away tin mostly, to save the juices and add vegetables. Frankly, a full rack of ribs fall on to the grates, so I do not use it for the long racks of ribs and opt for directly on the grates. 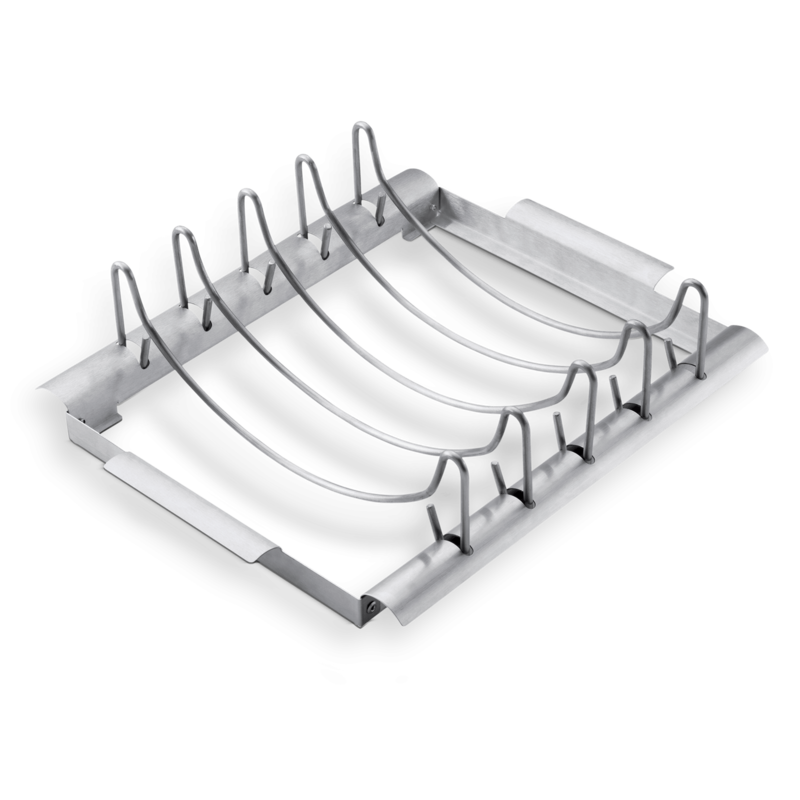 The rack does work great for half or smaller full slabs of ribs. 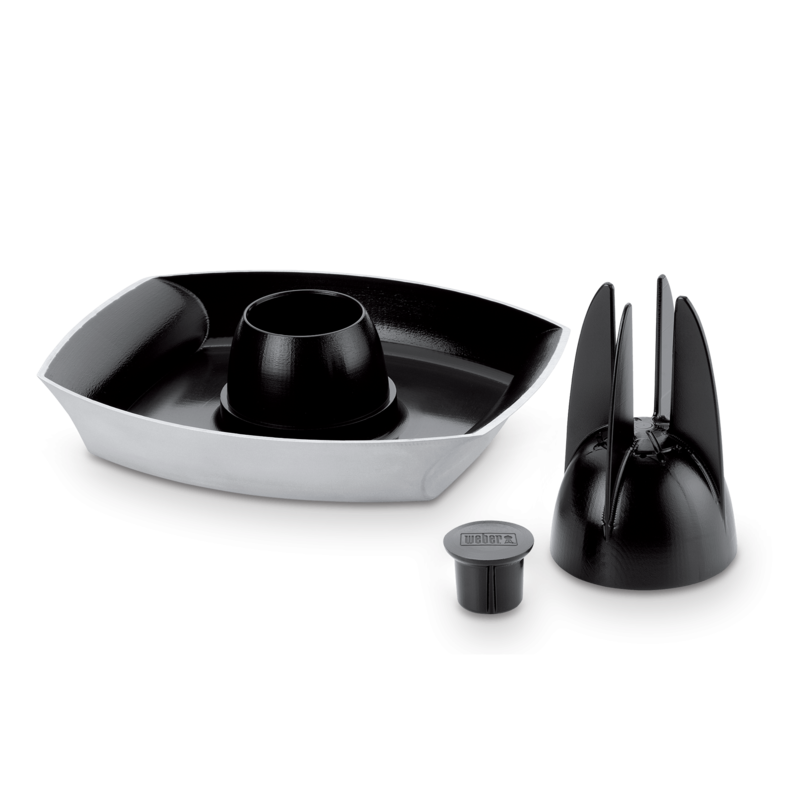 Rated 5 out of 5 by HelenB from Great roasting rack I have the charcoal Weber. 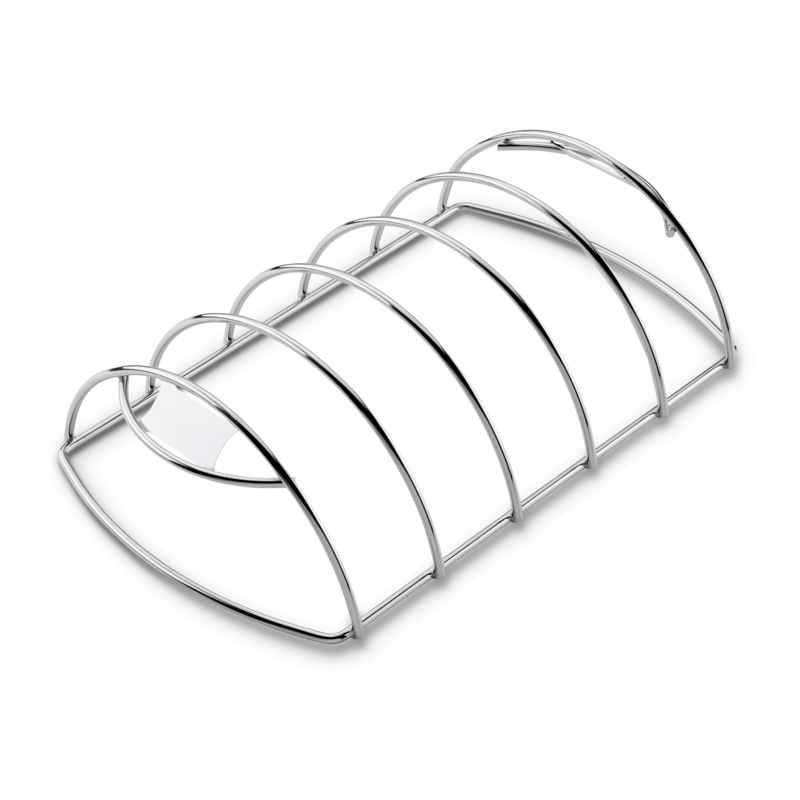 This roasting rack makes it easy to barbecue turkey breasts, roasts, ribs etc. We moved and lost our rack. I immediately got on line to Weber and ordered me another one. I can’t live without it.